Check out these beauties! For just $20.00, one (of ONLY 10) can be yours! All proceeds to support the KC Diva Spring Feeva! 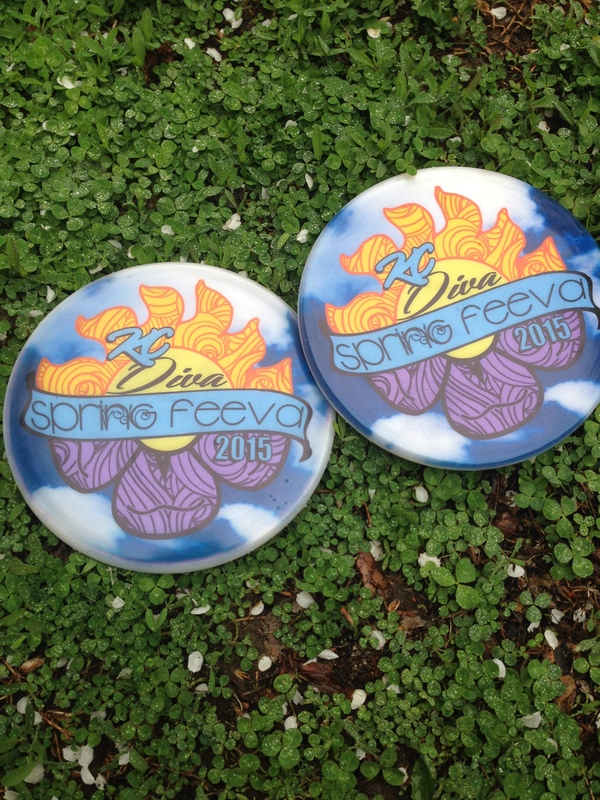 You can purchase these and other KC Disc Golf Divas discs at all Diva’s leagues, Dynamic Disc Kansas City store, Disc Golf World and select Dynamic Discs events. Special thanks to Michael Krueger for donating the cost for our first run of fundraiser discs. Tickets are 1 for $3.00 or 2 for $5.00. You can purchase tickets at all Diva’s leagues, Dynamic Disc Kansas City store, and select Dynamic Discs events. Drawing to be held at the KC Diva Spring Feeva event, May 9 2015 at Swope Park. You do not have to be present to win. Special thanks to Scott Reek and Dynamic Discs for their raffle donations. Our tournament director, Ben Crosby, is putting together an all male volunteer staff for the day of the event so that all interested women have the opportunity to play. Volunteer positions include hole spotters, registration and check-in staff, general setup and tear down help, and even caddies. Many have already stepped forward and we thank you! Ben will be in touch with you soon with more details. If you are interested in volunteering, please contact Ben Crosby and/or complete our volunteer form here. As a sponsor for this event, you will receive media attention from your association with KC Disc Golf Divas, you will help introduce the sport to more women, and you will encourage greater involvement of women in organized competition. You will find more information on the various sponsorship opportunities on our sponsorship page here. For other support options that might better serve your needs, please contact us. We are more than happy to discuss other creative possibilities. 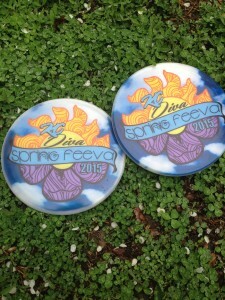 The entire Kansas City disc golf community is invited and encouraged to come out on May 9th to support the KC Diva Spring Feeva with a gallery atmosphere. Come out to Swope and spend the day with us. Find out more about the event and registration here.